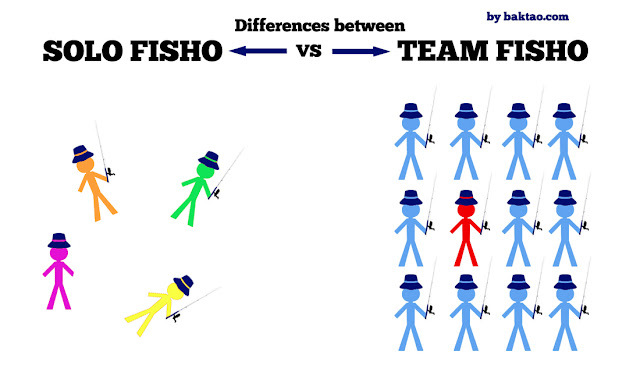 What are the differences between the "Solo Fisho" and the "Team Fisho"? During fishing, we often meet all kinds of people and their ways. Some are hilarious and full of joke, others can be nasty and inconsiderate but a few can be the best fishing kakis you have ever fished with. After pondering over some leadership bad leader/good leader comparisons in my corporate work activities, I realized that the solo fisho/team fisho model was fairly similar. So here it is! My take on the above which probably revolves around the burning question in your fishing brain - Who do I jio for a fishing trip and why? In fact, I noticed that "bad" fishing kakis often are pretty Solo in their fishing life. They are also often very negative or pessimistic and generally are inconsiderate. Do you agree? Which are you? Team or Solo? Please note that everyone has their own definitions of a "good" fishing kaki so read with a pinch of salt. 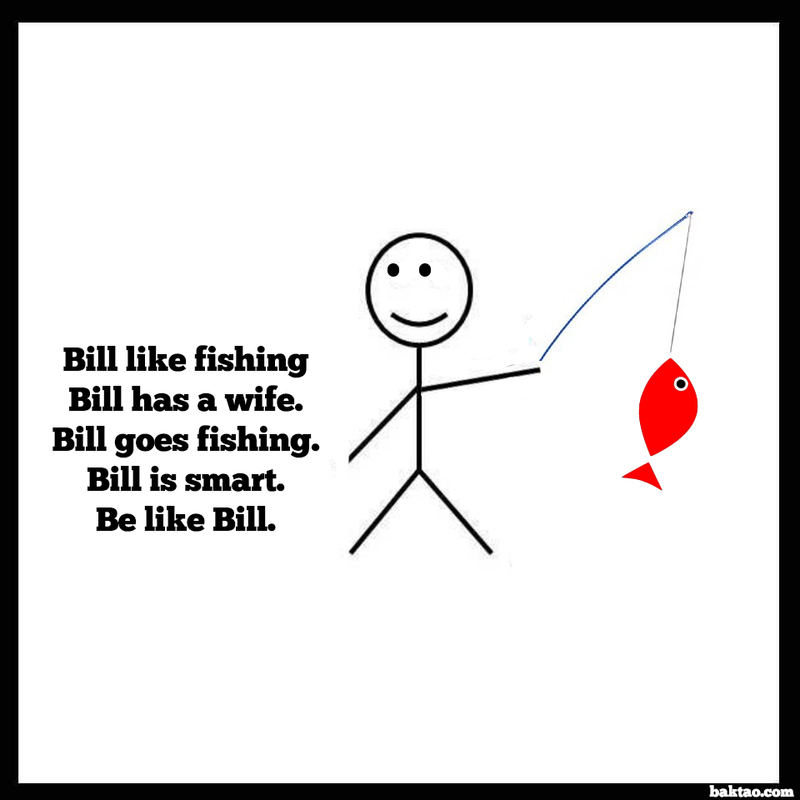 Nothing like a good ol' #BeLikeBill meme for all you fishing Husbands or Boyfriends who have WAGs (Wives and Girlfriends) out there. Listen to Bill and go fishing!